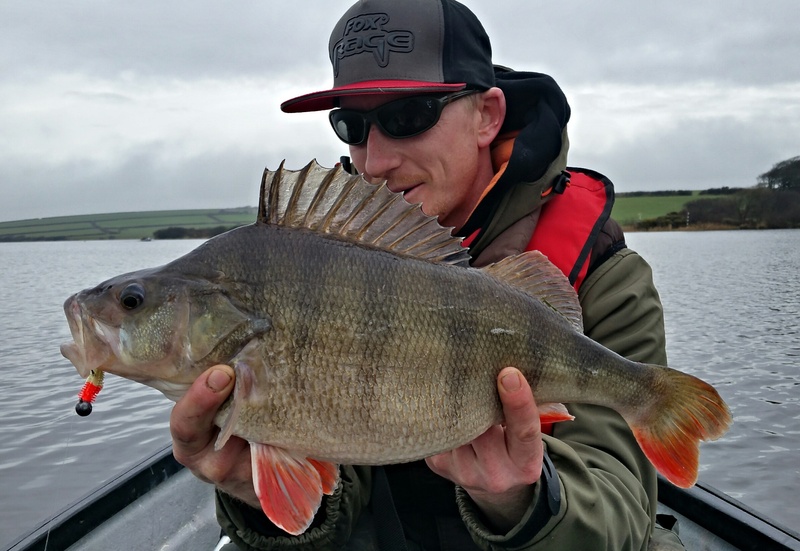 Alan Blair has had an amazing perch haul from Upper Tamar lake, on the Cornwall and Devon border. 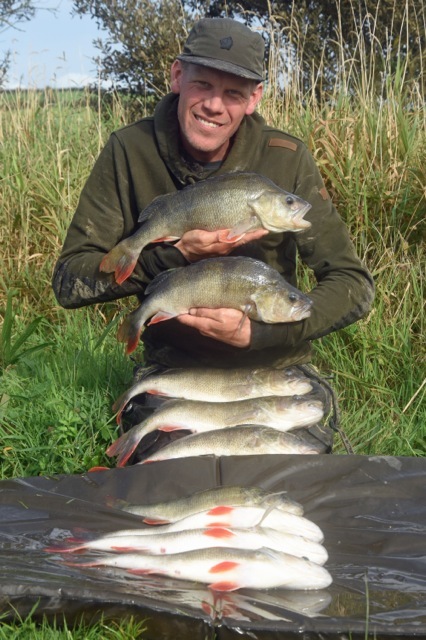 He caught nine perch, five of which were over 3lb in weight with the largest being 3lb 9oz. The smallest was 2lb 2oz! 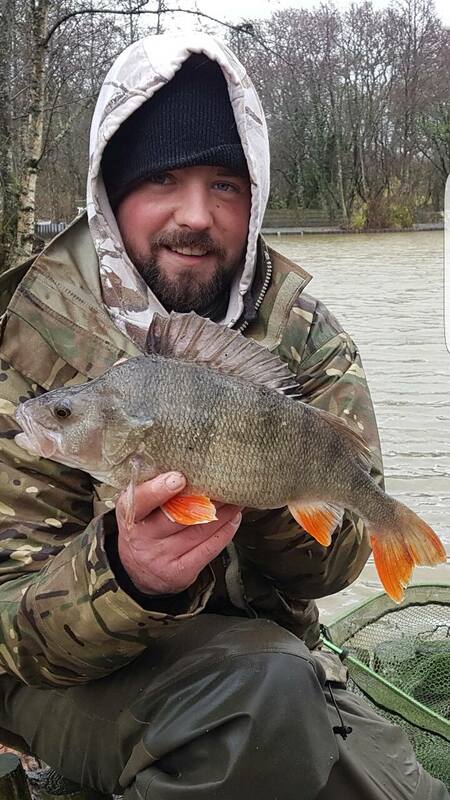 Alan used Nashbait Spod Cloud groundbait to get the small silver fish in the swim before the Perch moved in and seized his prawn hook-baits. 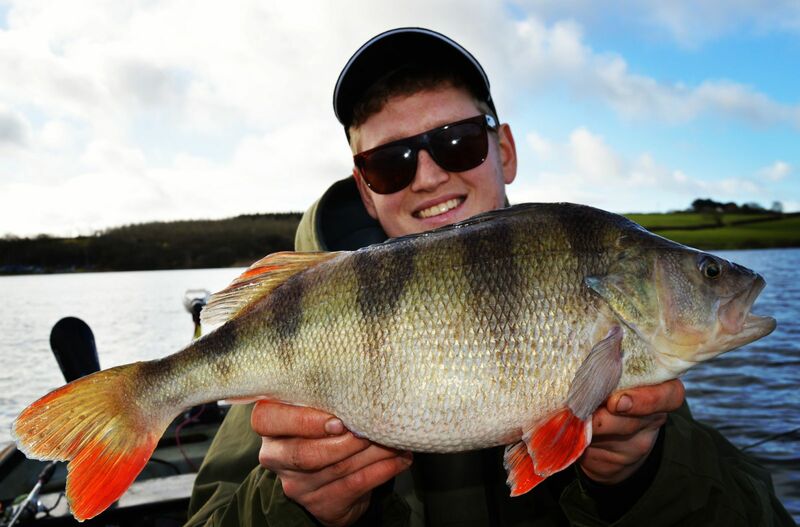 Upper Tamar is renowned for its stock of large perch and its only a matter of time before a 5lb+ fish is caught. 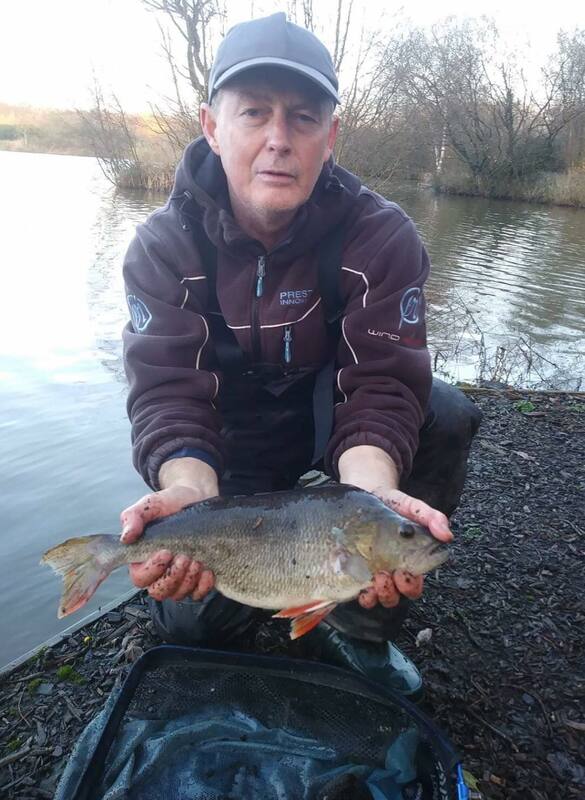 John Shapland enjoyed a cold days fishing at Jennetts Reservoir using quiver tip tactics to catch skimmer bream and small roach. A raw prawn bait fishing in the margins tempted this lovely perch of 2lb 9 1/2oz. 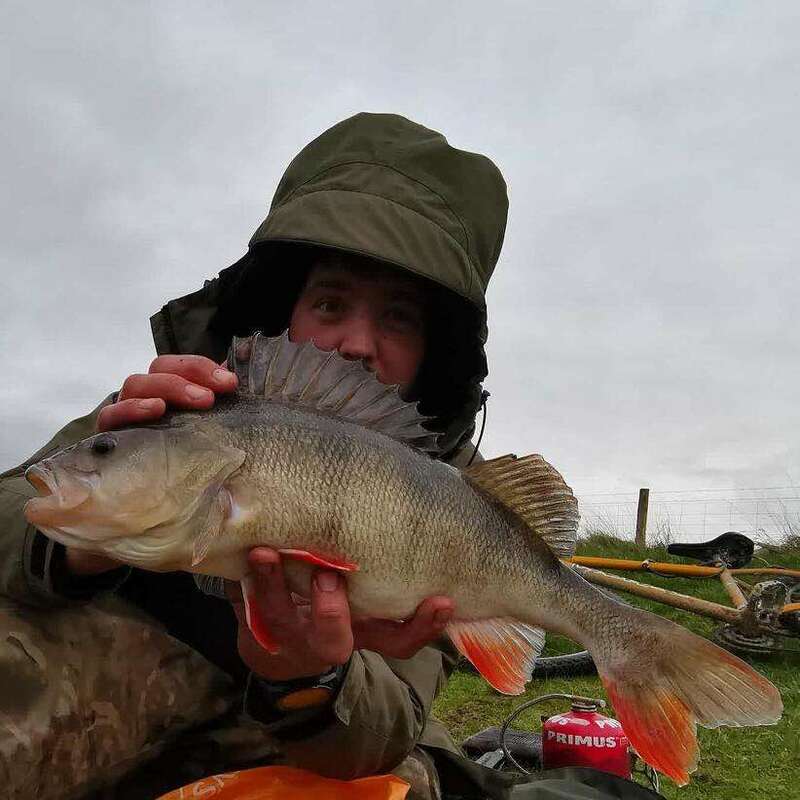 Ashley Bunning has followed up his capture of a common carp called ‘The Don’ at 34.04 from Upper Tamar Lake with this cracking Perch of 3.12 caught on an Eco Gear Ikajako soft lure fished from the perch boat. 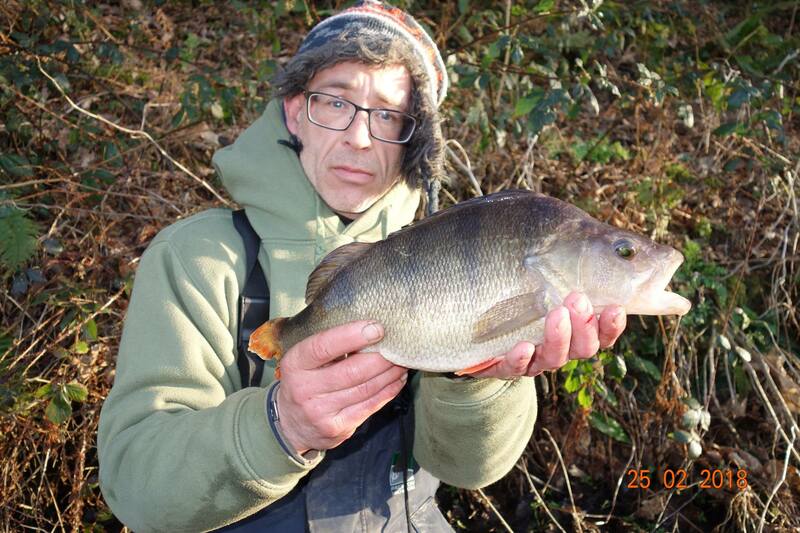 Kevin Smith has also been in the action with this lovely 3.08 Perch from the same venue. 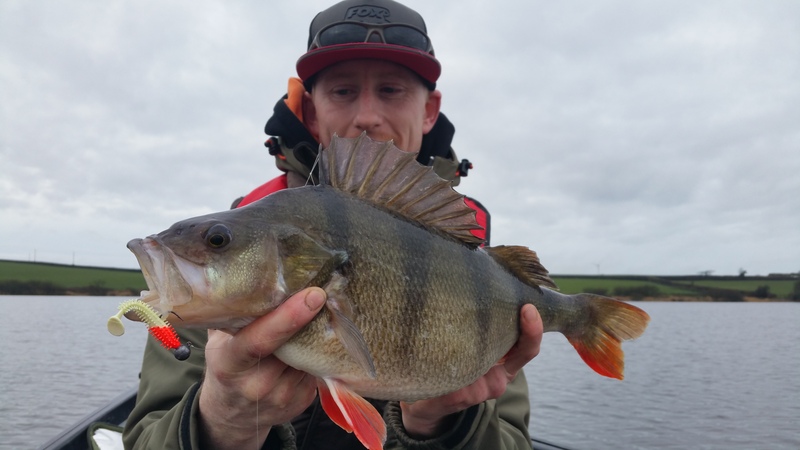 Two – four pound perch highlight of Lure fishing day at Upper Tamar! 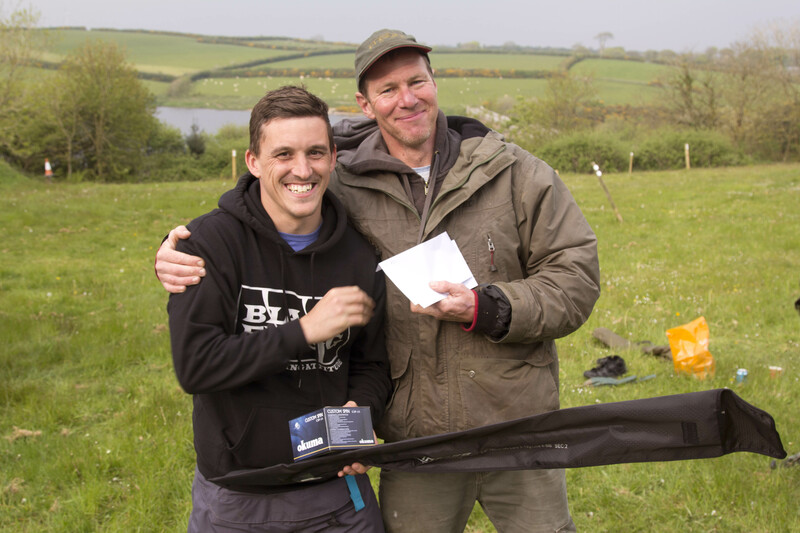 An excellent report from John Deprieelle on the recent lure competition at Upper Tamar. When fishery manager Ben Smeeth gave me the thumbs up to organize a kayak comp on the stunning venue set in Cornwall near Bude, I was delighted. This 80 acre reservoir is home to some of the biggest Perch in the Southwest but locating them can be tricky at times. With Kayak lure fishing becoming increasingly popular this was the perfect opportunity to get afloat and see if we could find a few of the dark destroyers. 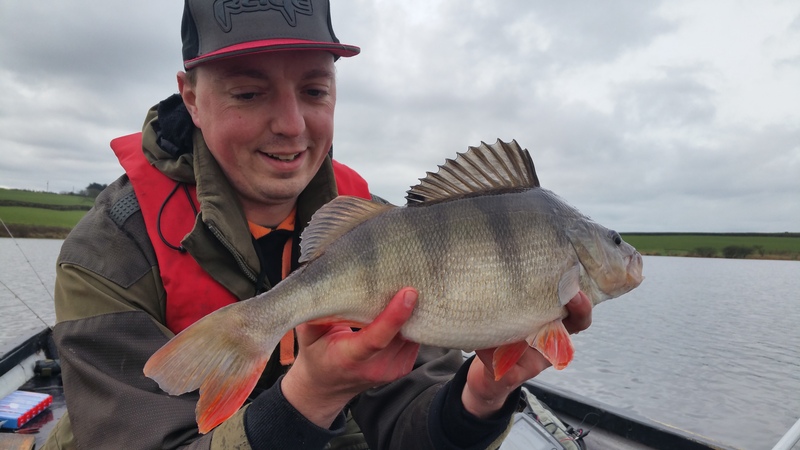 Perch are undoubtedly a joy to catch in many ways with their striking colours, defiant spiky fins and willingness to feed throughout the colder months. 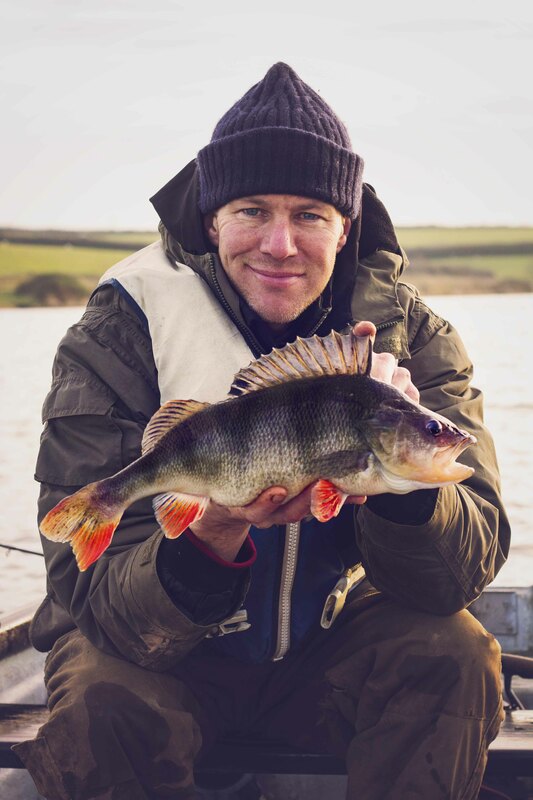 The waters of North Devon have large perch in good numbers but never take this for granted for there was a time when a devastating disease depleted stocks of perch all across the country. 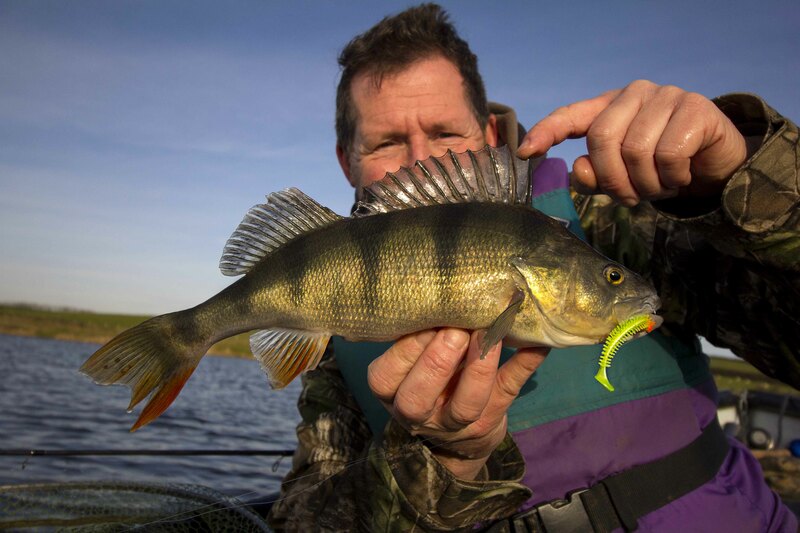 I can remember perch being plentiful in many Devon waters and then becoming almost non existent for several years. 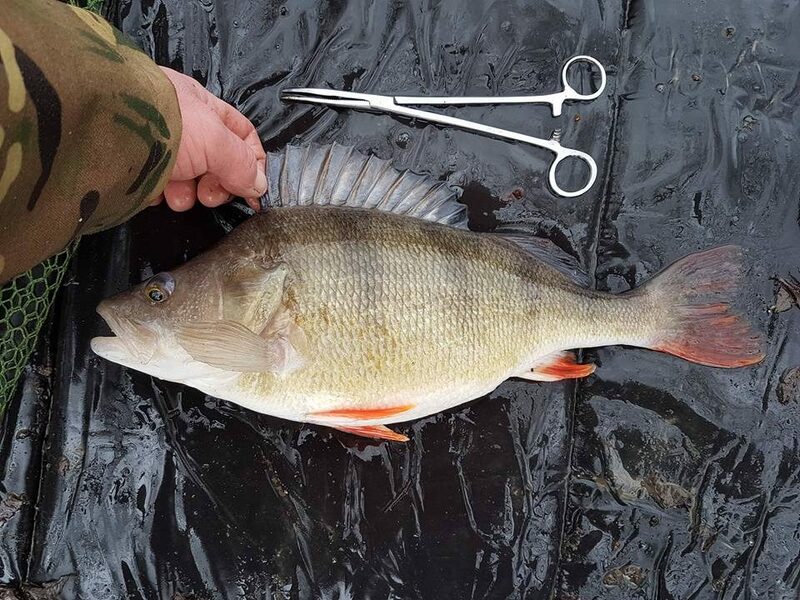 Big perch also tend to be subject to boom and bust with a water producing some massive specimens for two or three seasons before that particular year class dies out. 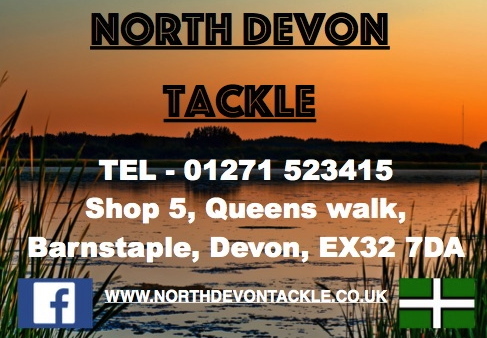 I well remember targeting large perch in Melbury reservoir and landing several to 3lb 14oz. This was exciting fishing but from what I can gather the large perch at this venue have all but disappeared. 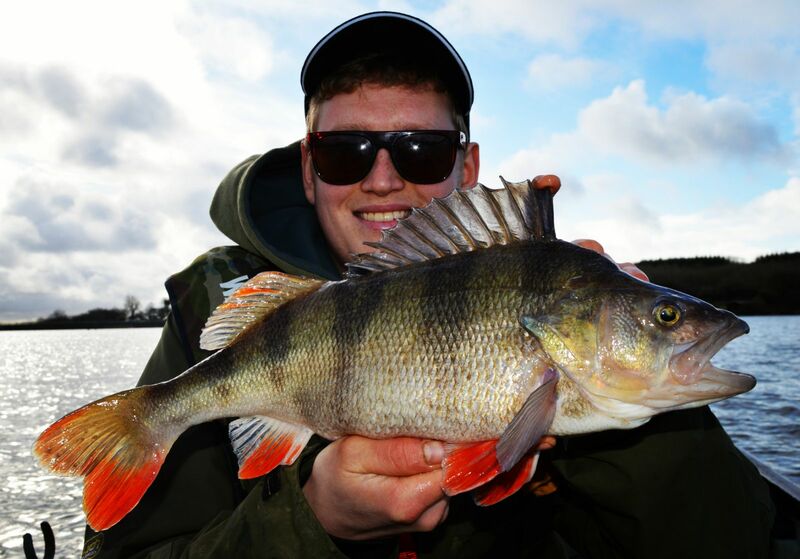 Of coarse where big perch have flourished once they can once again and all it needs if someone to give it a try. 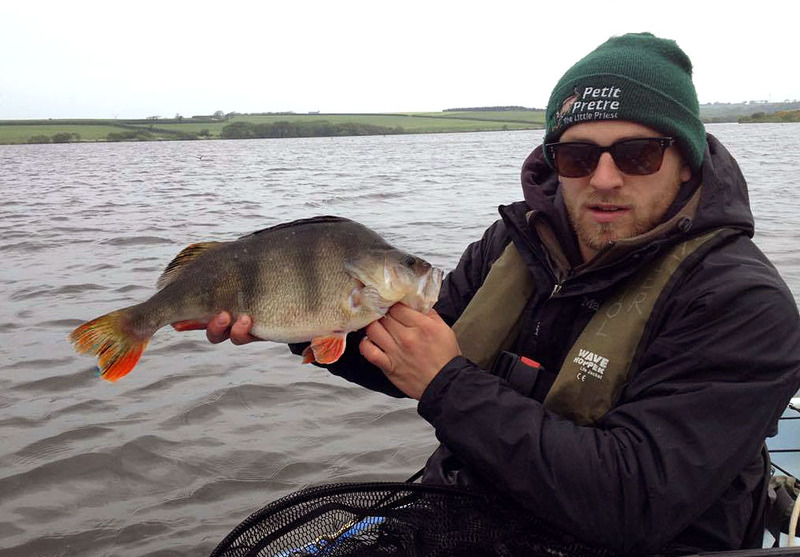 Upper and Lower Tamar both contain large populations of specimen perch with every chance of 4lb plus specimens. 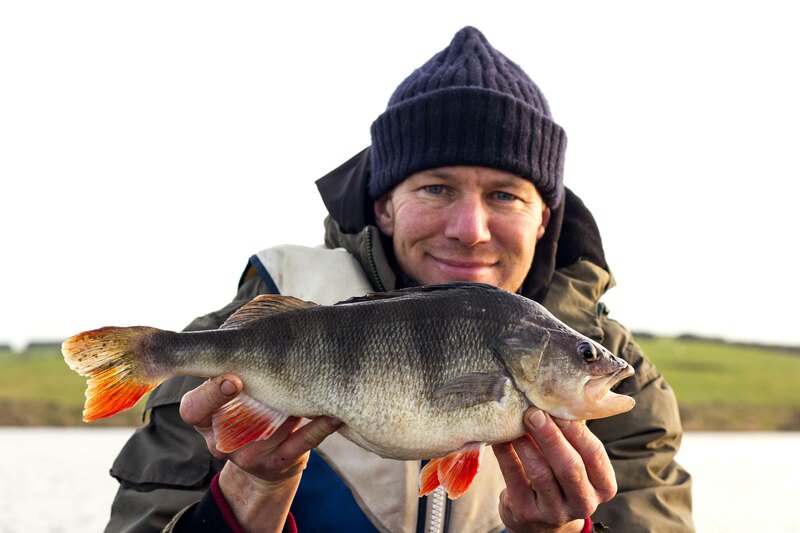 Many smaller still waters also contain specimen perch including, Legge Farm, Oaktree, Riverton, Slade Reservoir, Stafford Moor, Anglers Paradise, Furzebray, Spires Lakes, Jennets and many others. 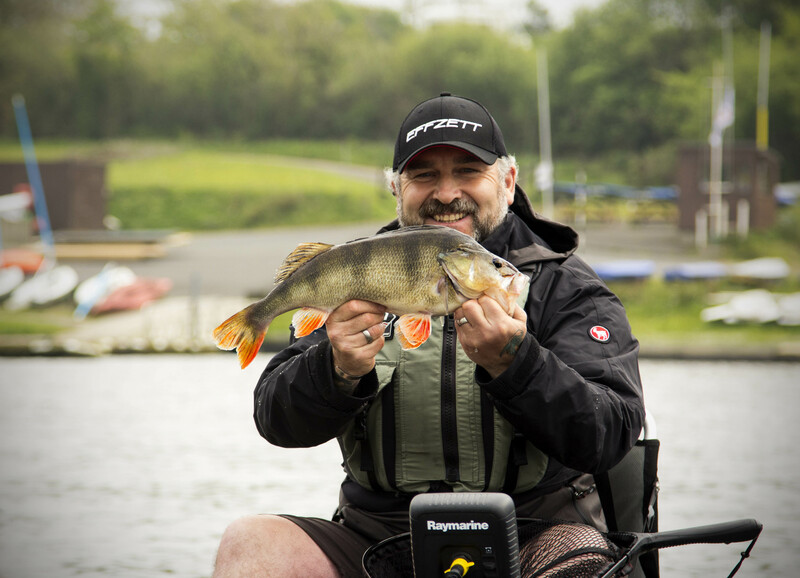 Another delight of perch fishing is the variety of successful methods that can be employed including livebaiting, baitfishing and lure fishing. 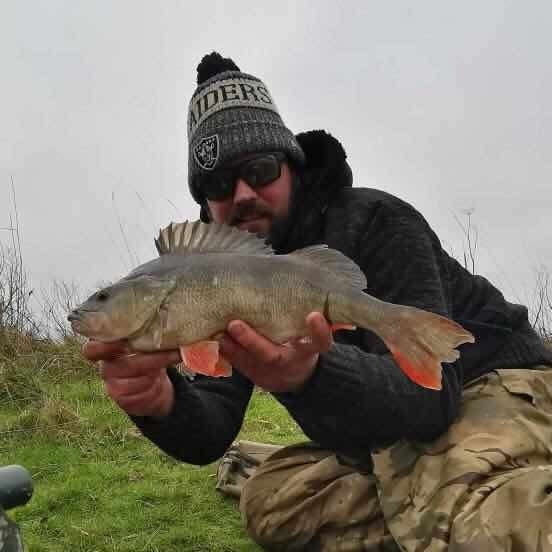 A keen perch fisher is North Devon based Dan Spearman who tempted these beauty’s to 2lb 13oz from an undisclosed local still-water. 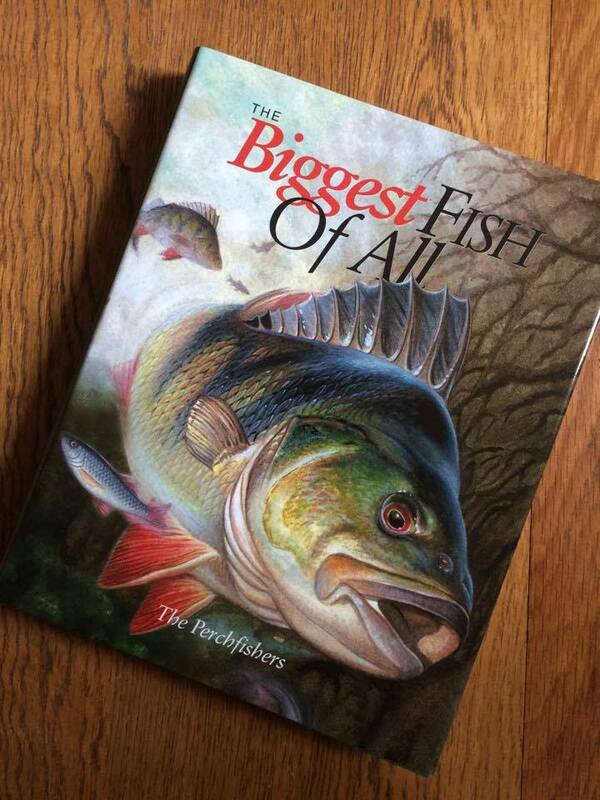 If you want to learn more about perch fishing I suggest yo track down the excellent book dedicated to the species entitled “The Biggest Fish of All” The Perch Fishers. ‘It was a pretty windy day with high gusts and I almost called off but as it was the first warm day after a sharp frost it had to be worth a go. The water temp was really low which can make things difficult (can you hear the excuses building up?) but after an hour or so the first fish of the day was in the net. The choice of lures was a lot smaller than I would normally use and we had to switch to drop shotting on a very slow retrieve to get bites as the fish were hugging the bottom and in really deep water. After searching out most of the lake we got a slow but steady rhythm and ended the day with a bag full of small fish, lots of nips and plucks and 2 really good fish up to 3lb 6oz. 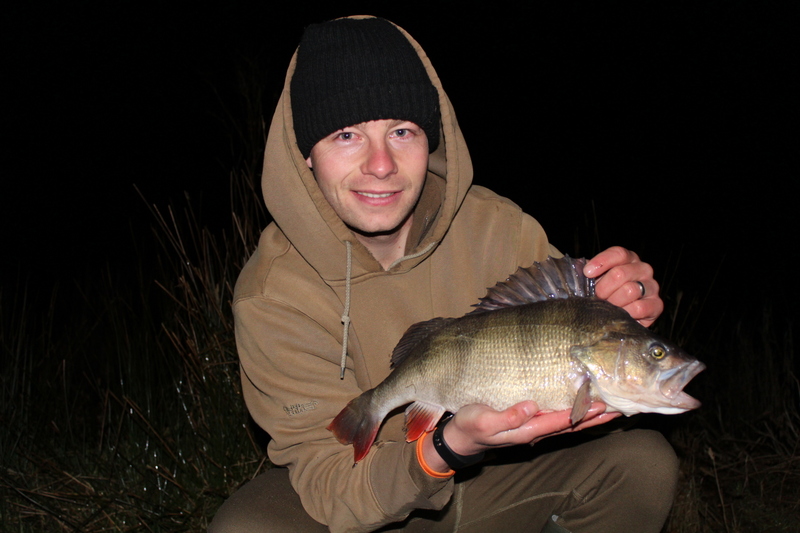 A lot of effort from dawn to dusk but well worth the reward for these stunning hard fighting perch’. 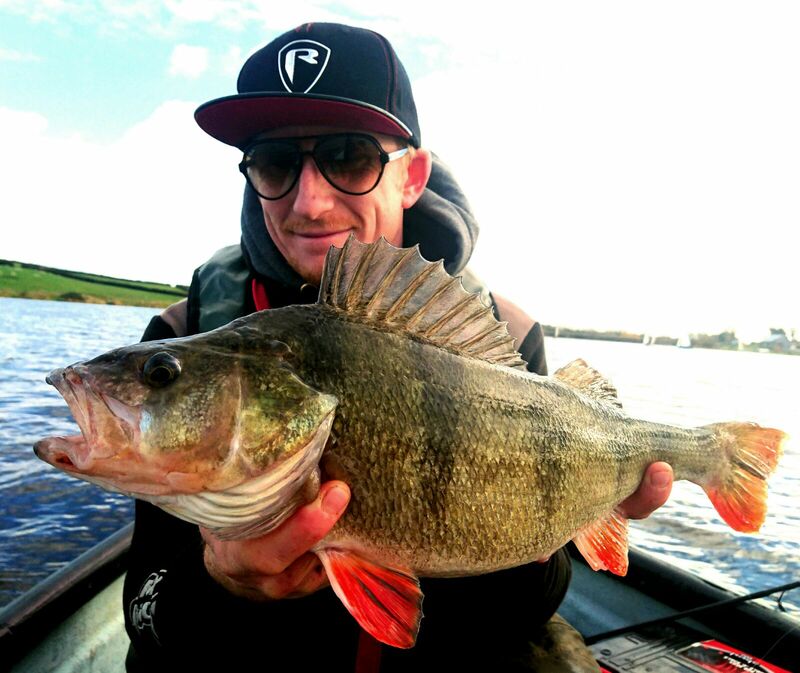 Chris Lambert and Adam Moxey enjoyed a memorable session at perch mecca Upper Tamar last week. Fishing from the perch boat they caught four fish over 3lbs, two fish over 2lbs lots of small perch and a cracking 4lb fish all on 3 inch soft plastics. Congratulations lads! Anyone who wants to book the perch boat needs to call 01566771930. 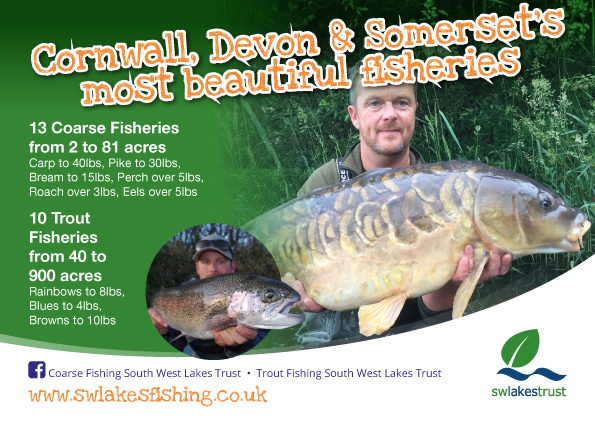 Ben Smeeth sent me this information on Upper Tamar; sure to be popular; I was tempted to keep quiet in case I cannot get on the boat myself!!!! 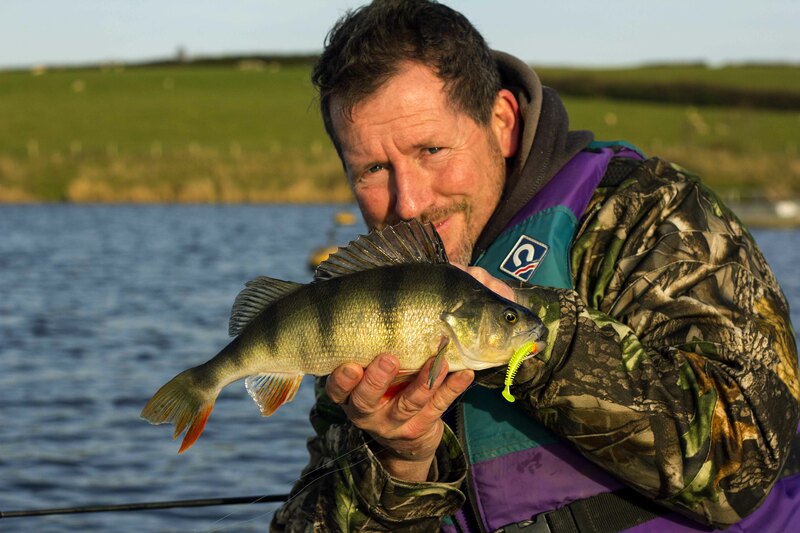 Perch fishing Mecca Upper Tamar has a rowing boat available for anglers to hire over the winter at £10 per day starting on Monday 7th November. 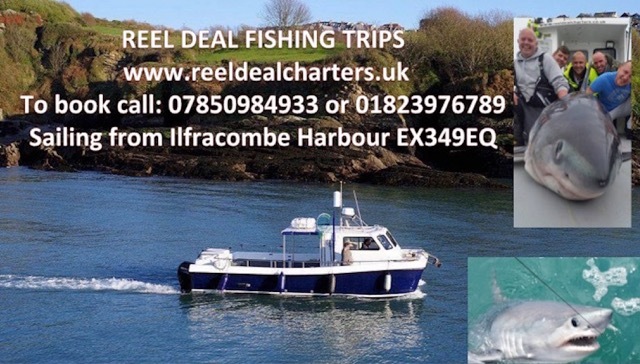 There must be two people in the boat and it must be booked and paid for in advance on 01566 771930. Further details are available on booking. 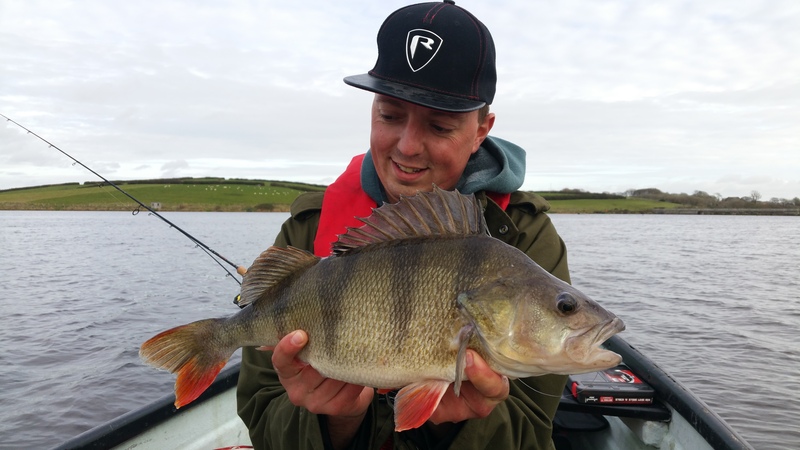 Anglers are required to buy a day permit when arriving at Tamar and the boat is only available for perch fishing. Venue regular Chris Lambert sent us in these pictures of some fish he had last winter from the boat at 3.06, 3.12 and 3.14! !